Prepare for the cardiac exam of the future by learning the complementary role of handheld echo in the bedside detection of heart sounds. Heart Songs 5 includes basic, intermediate, expert and adult congenital murmurs, plus images of phonocardiograms, CT scans and videos of color Doppler echocardiograms. These visual enhancements will facilitate your understanding and mastery of many heart murmurs/sounds. Are you a CardioSource Plus user? Click the button below to access Heart Songs for Institutions! Interested in Heart Songs 5? Click the button below to learn more and purchase. Access Heart Songs 5. Click the button below to access Heart Songs. Master cardiac auscultation by reviewing the auditory characteristics and handheld echo findings of each heart sound. Research reveals that cardiologists fail to identify more than half of basic murmurs and about 35 percent of advanced murmurs when challenged at a major medical meeting, but skills improved after a 90 minute Heart Songs training session. Heart Songs 5 provides you with everything you need to effortlessly improve your cardiac auscultation skills! Simply watch/listen to each video within Heart Songs 2 to 4 times to master each murmur/sound. Psychoacoustic research shows that intensive repetition (400 to 600 times) is key, producing a significant improvement in cardiac auscultation in a relatively short time. Once each new sound is mastered, it will be reinforced every time you hear it in a patient. Each Heart Songs video includes echo images that illustrate that murmur. Improved recognition and differentiation of basic heart sounds including third, fourth sounds, summation gallops and pericardial rubs. Improved recognition and differentiation of essential diagnostic heart sounds/murmurs including hypertrophic cardiomyopathy and mitral valve prolapse. Improved recognition and differentiation between expert heart murmurs including aortic/mitral stenosis and regurgitation. 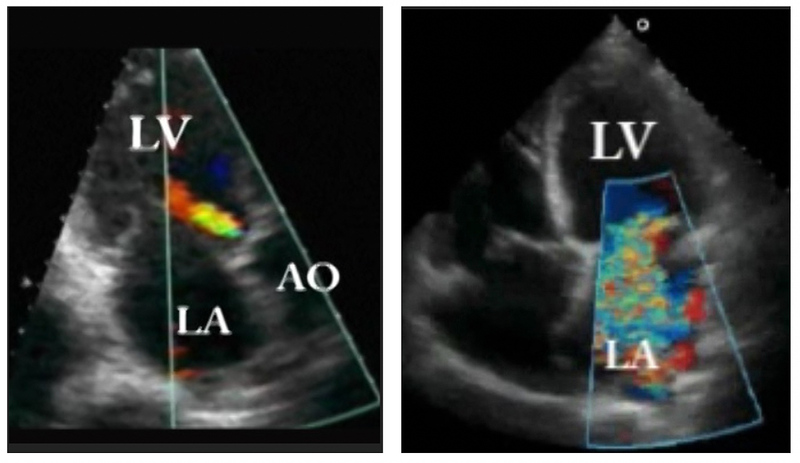 Improved recognition and differentiation of heart sounds associated with congenital disorders including atrial and ventricular septal defects. The ACCF designates this enduring material for a maximum of 13 AMA PRA Category 1 Credit(s)™. Physicians should claim only the credit commensurate with the extent of their participation in the activities. The American College of Cardiology Foundation is accredited as a provider of continuing nursing education by the American Nurses Credentialing Center's Commission on Accreditation. The ACCF designates this educational activity for a maximum of 13 continuing education hours. Requirements for successful completion include completing the pretest, watching all videos at least twice, and achieving a score of 70% or better on the posttests. While offering the CME/CNE credits noted above, this program is not intended to provide extensive training or certification in the field. Successful completion of this CME activity, which includes participation in the evaluation component, enables the participant to earn up to 13 MOC points in the American Board of Internal Medicine's (ABIM) Maintenance of Certification (MOC) program. Participants will earn MOC points equivalent to the amount of CME credits claimed for the activity. It is the CME activity provider's responsibility to submit participant completion information to ACCME for the purpose of granting ABIM MOC credit. Heart Songs 5 is accredited by the European Board for Accreditation in Cardiology (EBAC) for 13 hours of External CME credits. Each participant should claim only those hours of credit that have actually been spent in the educational activity. The Accreditation Council for Continuing Medical Education (ACCME) and the European Board for Accreditation in Cardiology (EBAC) have recognized each other's accreditation systems as substantially equivalent. Apply for credit through the post-course evaluation. "Research demonstrates that practice makes perfect when trying to master cardiac auscultation. Listening to these "Heart Songs" at the computer or iPod can help clinicians at every level refine their auscultation skills." Cardiac auscultation has traditionally been taught as if it were an intellectual skill, with a didactic lecture followed by a brief demonstration of heart sounds. This approach has yielded disappointing results, with most clinicians able to recognize only about 40% of abnormal heart sounds. Heart Songs, on the other hand, is based on psychoacoustic research demonstrating that intensive repetition (400 to 600 times) is required for the human brain to master a new sound. This degree of repetition is necessary for the formation of an auditory template of each new sound. Once each new sound is mastered, it is reinforced each time you hear it in a patient. By using this learning principle from psychoacoustic research, Heart Songs produces a significant improvement in cardiac auscultation in a relatively short time. Two controlled trials1,2 have shown that proficiency in cardiac auscultation routinely exceeds 80% using this approach. Heart Songs 5 provides you with high-quality heart sounds that you can listen to at your convenience so you can improve your cardiac auscultation skills. Barrett MJ, Lacey CS, Sekara AE, Linden EA, Gracely EJ. Mastering cardiac murmurs: the power of repetition. Chest 2004;126:470-5. Barrett MJ, Kuzma MA, Seto TC, et al. The power of repetition in mastering cardiac auscultation. Amer J Med 2006;119:73-5. Barrett MJ, Martinez MW, Scott M, O'Gara PT. How accurate are cardiologists at detecting aortic and mitral murmurs? A reality check on auscultation skills in the era of transcatheter interventions. Eur Heart J 2015;36;792. Chizner MA. Cardiac auscultation: rediscovering the lost art. Curr Probl Cardiol. 2008;33:326-408.